As the total number of children who participate in sport continues to increase, so, too, has the number of those children who are specializing in a single sport. There is no doubt that focused, deliberate sport-specific practice and years of dedication are required to achieve excellence in both individual and team sports. The question is, should this intense sport specialization begin during childhood and early adolescence? Parents are major players in this drive toward early sport specialization, often with the goal of their child earning a college scholarship, or the fame and fortune that come with professional or Olympic sport. Although less than two percent of high school athletes will achieve even a partial scholarship, parents invest countless hours and dollars in the pursuit of this goal. The model for early sport specialization has multiple roots. The concept of identifying potential talent and developing it at a young age has roots in the successes of Eastern European and Soviet athletes during the 1960s and ’70s. We now know that those successes were largely due to illegal doping, but the idea of early sport development became U.S. dogma as these successful coaches and sports scientists migrated to America and became involved in elite sport programs. Driven for success for their children, many parents believe that an early start is necessary to obtain a competitive edge. This idea is reinforced with the popular successes of athletes like Tiger Woods, who was introduced to golf as a young child, and through years of deliberate practice and dedication, achieved golf excellence and stardom. However, there are risks to early sport specialization. By placing all of their time and effort toward one sport, young athletes risk social isolation and over-dependence on their specific team or small group of athletic peers. Burnout is a common result. Young athletes cannot always handle the physical and psychological demands of pursing excellence, and resultant chronic stress can cause agitation, anger, sleep disturbance, depression, loss of interest in practice and school, and even illness. Injury, specifically of the overuse type, can result from the repetitive demands of a single sport, and frequently is the catalyst that leads to athlete burnout and sport dropout. Early specialization sports like gymnastics and swimming, where success can be achieved at a young age and usually by females, tend to have among the highest rates of early burnout and overuse injury. So, does the literature support early targeted sport specialization? The vast majority of published literature refutes the idea that early sport specialization is necessary for the achievement of elite sports success. The exception seems to be women’s gymnastics, where many athletes reach elite status before puberty, and thus intense training and specialization during early childhood correlates with ultimate level of competitive success. In contrast, a study of German Olympic and near Olympic athletes showed that athletes who began intense training later (after 13 years old) and participated in multiple sports achieved elite Olympic status at a much greater level. In a study of Danish Olympic elite and near-elite athletes, elite athletes participated in multiple sports and spent less hours practicing than the near elite athletes until the age of 15. In a 2010 study of 376 Division 1 female athletes, only 17 percent participated exclusively in their current college sport during their youth, and the vast majority participated in multiple sports during high school. In another study of elite soccer players who progressed to professional status by the young age of 16, the only difference between the professionals and those who did not achieve professional status was that the professionals reported more hours per year in unstructured (not deliberate practice) soccer activities. This study is similar to others that show that enjoyment of sport and intrinsic motivation predict long term success. 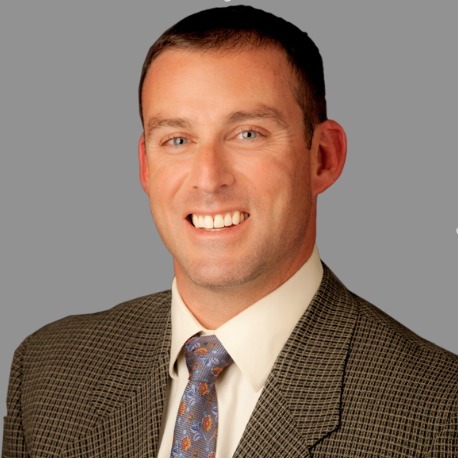 Dr. Botti is an Orthopedic Surgeon at Flagstaff Bone and Joint where he serves as the director of the Sportsmetrics Injury Prevention and Performance Program. Dr. Botti serves as an assistant team physician for the U.S. Snowboard Team and is the founder of the Flagstaff Sports Medicine Institute, a non-for profit organization dedicated to educating athletes, parents and coaches on matters of sport performance and injury prevention.